Protect your computer with a password is often seem unnecessary at home. Members of the same family prefer not to complicate their lives creating different accounts and remembering numerical combinations. If, after weighing all the pros and cons, you decided to remove the password in Windows, follow these instructions. 2. The password reset disk. Launch your version of Windows and log in as administrator. Go to the start menu, select control Panel. Then click user Accounts and family safety. Click user Accounts. First, you will only see the administrator account. If you want to remove the administrator password, click the Remove your password (to the left of the picture). For this you will need the administrator password. To remove the password of another account, click Manage another account. From the list select the account. To the left of the picture, click the Remove your password. For this you will need to enter the current password (not the administrator, and the account that you are changing). To when you turn on the computer then you do not need to enter a password under any circumstances, you need to delete all the extra accounts. Click start/control Panel/user Accounts and family safety/user Accounts/Manage accounts. Click on the account to the left of the picture, click delete the account. When you uninstall Windows prompts you whether you want to save user files on the computer. If the files are not needed, click Delete files. If the files you want to save, select to save the file. Confirm the deletion of account by clicking Delete account. There is also a Guest account. It cannot be deleted, only disabled or enabled. Disable it, and you have an administrator account. If the password for the administrator account is deleted, you do not have to enter a password when turning on the computer. If you have forgotten the administrator password or do not know it, you can use the password reset disk, if it exists. This disk is created once and allows you to set a new password for the administrator account. After access to the administrator account restored, proceed to remove all the passwords. Please note that to remove the administrator password is administrator. While in his account with the usual access) you can only modify and delete your password. To protect the privacy of the developers of the Windows operating system includes the option to set the password at system startup. In the case that the need for confidentiality no longer, request password can be disabled. 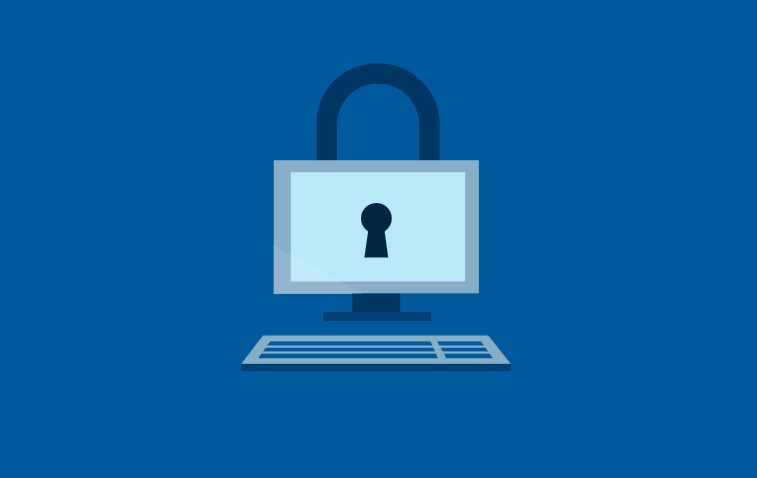 Perform all activities related to the protection of personal data on a computer running Windows requires the user have administrative rights. Otherwise, to change anything will fail. Therefore, if your account is not limited, you can disable request password. To perform this simple procedure, go to "control Panel" Windows, click "start" on the taskbar and selecting the appropriate option. Here you need to open the "user Accounts". In some versions of Windows or the display options of the folder the title of this section might be a bit different. Select from the list of accounts for one to log in you are required to enter a password when you start Windows, and open the menu item "Delete password". Enter in the corresponding field current password and click Remove password." The desired action will be executed, and now when booting, the system will not prompt for the password. Acting in the same way, you can remove the password for any account on the computer. 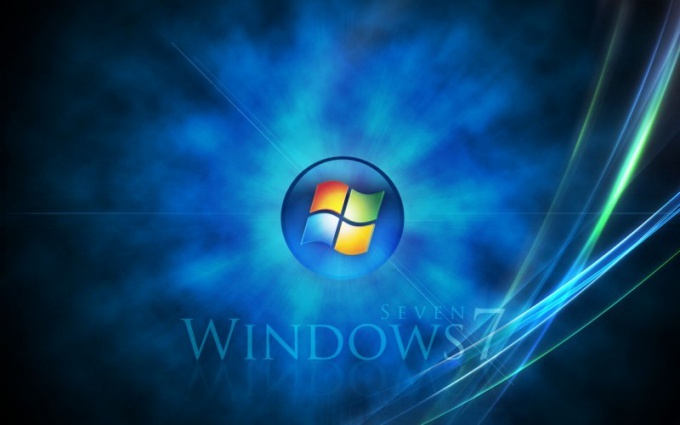 The most popular and common operating systems on user computers are Windows XP and Windows 7. For reasons of security and separation of access to resources and documents they use the system password when you turn on the computer, and sometimes after resume from standby. It may be useful to those who use the power of the PC is not alone. And for those who don't need to defend your data, or to accelerate the download process, the system will be useful to disable this feature. Click the "start" button or similar with the logo in the view window with the left mouse button. This button is located in the lower left corner of the screen. This menu can also be opened by clicking on the keyboard button with the Windows logo. Find the menu "Run" and put the cursor on that line. This opens a dialog for entering the command for execution. From here you can invoke the management console user account is the tool that you need. Another option: press the Windows logo key and the letter R. will Open the same window you enter the command. Type in the string the following text: control userpasswords2. If you see a window asking you to confirm the operation, click Yes. Please note that for performing this action, your account needs to have administrator rights. Select your account in the next window it will have the header "user Account". Just below the header, find the line "Require a password and user name" and uncheck this item. Click on the "Apply" button at the bottom of the window. A dialog opens asking for your password twice, enter it. If you have no password, then leave both fields blank. Confirm your action by clicking on the OK button. Restart the computer — no longer need to enter a password and wait for the system start-up the extra couple of seconds. In addition, Windows 7 users: to disable password request when exiting from sleep or hibernate mode you need to disable this setting in the power settings of the computer. Click "Start," clicking the button in the lower left corner of the screen. Type in a string of aid and programs to run the word "power options" and click the icon in the top menu. In the action column on the left find the link "Request a password on wakeup". Dot point "don't require a password" and click "Save changes". This activity also need administrative privileges on the system. Password request if the login is a fairly reliable protection against unauthorized access to files contained on the computer. If the need for the protection you have disappeared, password when enabled, the computer can be turned off. Log in under an Administrator account. Open "control Panel" via "start" button . If you can't find the item "control Panel" in "start menu", set it from view. To do this, click the right mouse button on the taskbar and select the context menu item "Properties". In the dialog box "Properties taskbar and start menu" click on the "start Menu" and click "Configure" in the "start Menu". This will open a new dialog box. Select the "Advanced" tab, under "start menu Items" look through the scroll bar item "control Panel" and put the marker in the field "Display as link" or "Display as menu". Click OK apply the new settings and close the properties window. After this, open the "control Panel" as described in the first step. On the "control Panel" select "user Accounts" and the icon or the task "Change an account". This will open a new dialog box. Click it's icon Admin (computer Administrator) with the left mouse button or select from the list of actions the command "Change password". In the updated window in the first field, enter the password with which you logged in. Leave the other fields empty. Click on the "Change password". Then enter the password when you turn on the computer, you no longer need. Disabling the password, remember that it is necessary not only to protect your computer from outsiders, but can also be used by other services to run specific tasks. For example, turn off computer running a system as administrator and use the "scheduled tasks" a prerequisite is the presence of a password. 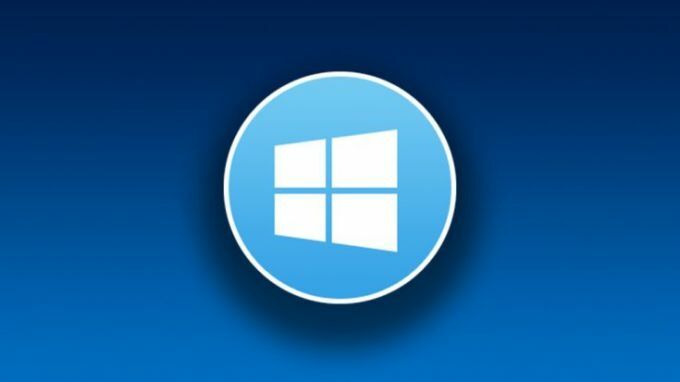 Quite often, users of personal computers, the need arises to disable the password when logging on to Windows 10. It was caused by the molestation of a new operating system and its desire to protect information on the hard disk. You can disable the password when you sign in to Windows 10 with just the administrator account. Press the key combination Windows + R and type control userpasswords2 or netplwiz, and then press OK. In both cases this will bring up a configuration window user accounts. To enable automatic logon in Windows 10 without your data, you need to uncheck the item mandatory input of login and password next to the name of the user who is an administrator on the computer. To apply the command, enter the current password re-confirmation. Try to remove the password when you log into Windows 10 using registry editor system. To run the program, press the key combination Windows + R and type regedit. Open HKEY_LOCAL_MACHINE\Software\Microsoft\Windows NT\CurrentVersion\Winlogon. Here you can enable automatic login for local account and Microsoft account or domain. Double click on the item AutoAdminLogon and set its value to "1". The value DefaultDomainName to set the domain name or local computer (information usually specified in the properties of "My computer"). If there is no matching value, create it by clicking on the empty space of the registry, right-clicking and choosing "New" — "String value". DefaultUserName if necessary, you can change to another username or leave the current user. Create DefaultPassword and set the value to the password of your account. Now close the registry editor and restart the computer. After that, login will be prompted to enter a username and password. Disable login password in Windows 10 can also when waking the computer or laptop from sleep mode. To do this, the system has a special option. Navigate to it via "control Panel", selecting "Account" and "login Settings". Disable "login Required", setting the "Never". Now when resuming from sleep the device will not prompt for the password. Another way to remove password when entering the system is the use of paragraph "power supply" also located in "control Panel". Select the currently used scheme and go to change plan settings, then to additional power settings and set the required values. If the owner of the laptop or PC is a single user, to save time, it is more expedient to remove the password when logging in Windows 10 and disable its request after sleep mode. Create a password for an account that helps to protect personal user information from third parties. This is especially true for office workers or family members using the same computer. If the laptop is sitting only you, each password entry when turning on and after exit from sleep mode will take precious time. To quickly log in and immediately access the desktop, simply remove the login password in Windows 10. 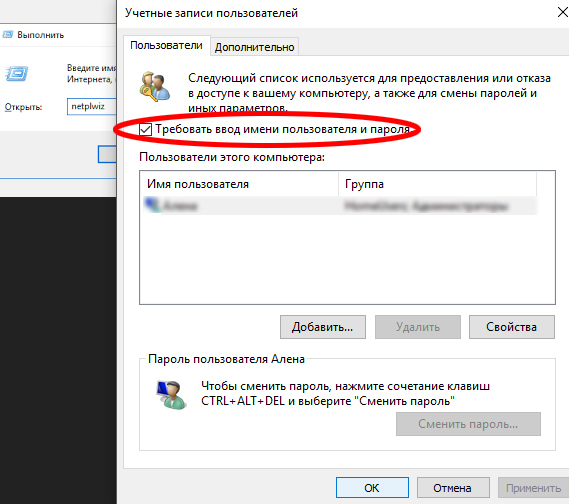 Those users who enter the system are not under uchetku Microsoft, and using a local account, you can cancel the password using "Settings" in the menu "start". Open "Account", go to "Options" and click on "Change" under "Password." 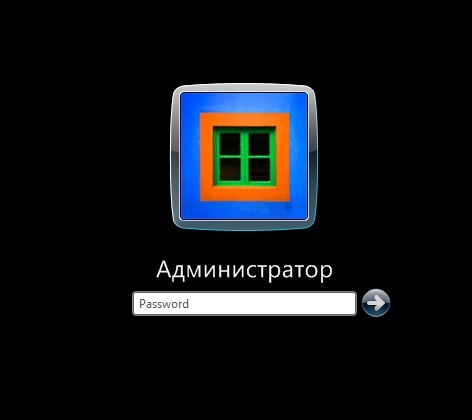 In the window that appears, type the current password and press "Next". You will be asked to change it. Here you need to leave all three columns blank and click "Next" and confirm with "Finish". To disable the password prompt for your account in Windows 10 by using Windows "Run". Right click on the icon "start menu" or call a window on the keyboard combination Win + R. In the "Open:" field, type netplwiz and press OK or Enter. In the resulting window remove the tick from "users must enter a user name and password" and click "Apply". Get out the window "Automatic logon". In the graph the user will be inscribed the name of your accounts, and other rows must remain empty. Clicking OK, you agree to sign in to Windows 10 without password. To remove the password from the computer after exiting sleep mode quite easily via "Settings" in the menu "start". Open "Account" and clicking on "login Options". In the dropdown menu for the header "login Required", specify "Never." Now, even if you will be distracted and the laptop goes into sleep mode, you do not need to remember password and always enter it. Remember that deactivating this feature in Windows 10, you open automatic access to the system anyone who decides to use your laptop or PC. 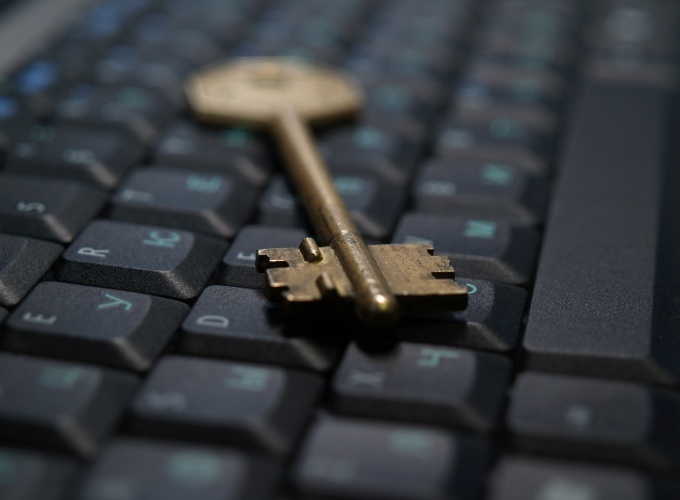 Before you disable the password prompt for your own accounts, think about the possible risks and consequences, and only then take an affirmative decision.